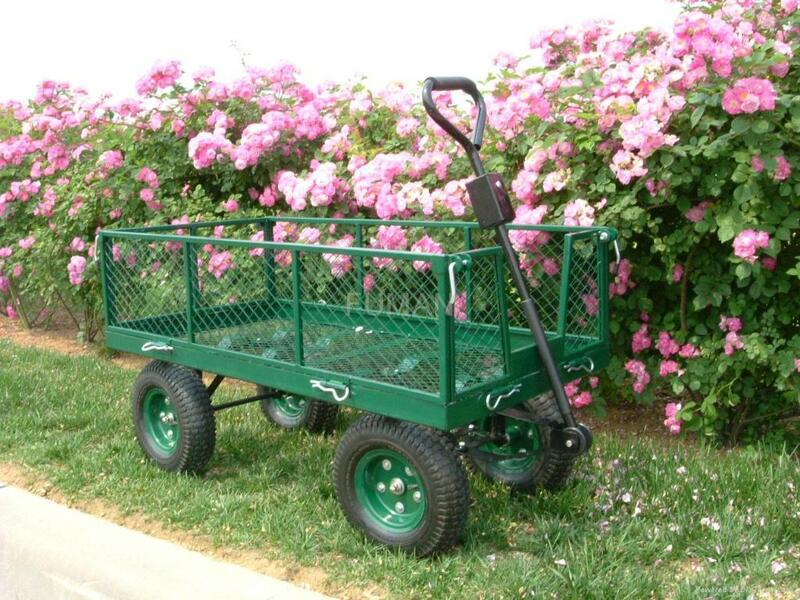 Features: Steel frame with a basket,13"x 5.00-6 4 ply pneumatic tire with inner tube, steel rim and ball bearings, steel tubular handle with foam grip. Green powder coating. Cart size: 1350L x 620W x 975H mm. Loading capacity:680 kgs. Packing: 1 piece into a master carton, Carton size: 1280L x 650W x 190H mm. N.W. : 32 kgs. G.W. : 34 kgs. Loading quantity: 405 pieces per 40' Container.